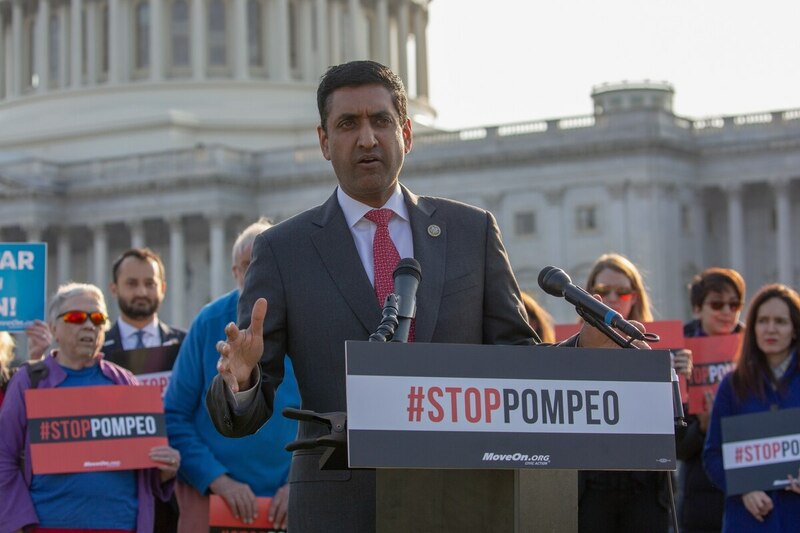 WASHINGTON — When California Democratic Rep. Ro Khanna and other freshman lawmakers visited with President Donald Trump at the Oval Office in April, Khanna did something some might consider surprising, especially for a progressive Democrat: He encouraged Trump. At the time, Trump was under fire for praising North Korean leader Kim Jong Un as “very honorable,” and seeking to meet with Kim with no preconditions. Khanna — a House Armed Services Committee member — made a case to Trump to keep up his peacemaking efforts. Anything to avoid more military intervention. Now, with Democrats eyeing a possible takeover of the House, the left-leaning Khanna is poised to step into an even more vocal role as pacifist foil to Trump. Tagged by Fortune magazine as “the most noteworthy member of Congress you’ve never heard of,” Khanna, the 42-year-old former Obama-era Commerce Department official, already has an outsized voice for a relative newcomer to Congress. A one-term representative of Silicon Valley, he was asked by House Minority Leader Nancy Pelosi to draft an Internet Bill of Rights, and he made ending U.S. military support to Saudi Arabia a mainstream issue for House Democrats in a way that seems forward-looking since journalist Jamal Khashoggi’s death in the Saudi Consulate in Turkey on Oct. 2. If he becomes part of the House majority, Khanna told Defense News, he wants as many as three days of hearings featuring Defense Secretary Jim Mattis and Joint Chiefs of Staff Gen. Joseph Dunford — something the administration would almost certainly resist. “Let’s go over every single place in the world where we have ground combat troops — I think they’re 14 to 17, based on the president’s biannual report to Congress — and let’s go over every place where we have foreign operations and intelligence,” Khanna said. “I want them to justify, for the American people, in that marathon hearing what our mission is, what the costs are, what the risks are and why we’re there. Last month, Khanna introduced a resolution to invoke Congress’ war powers and end U.S. military involvement in Yemen’s civil war. It’s attracted more than 50 sponsors, including some moderate big guns: House Minority Whip Steny Hoyer, D-Md. ; House Armed Services Committee ranking member Adam Smith, D-Wash.; and House Foreign Affairs Committee ranking member Eliot Engel, D-N.Y.
It’s a preview of the kind of thorny defense issues that Democratic leadership must navigate alongside a caucus of moderates who back strong military spending and progressive members who have decried Pentagon largesse. 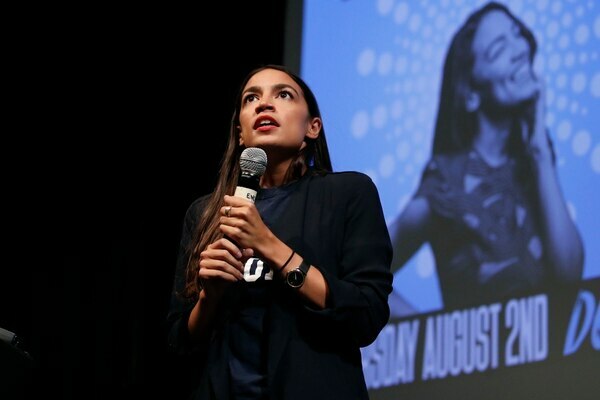 That latter group includes Alexandria Ocasio-Cortez, the 29-year-old democratic socialist who upset a 10-term incumbent in a New York primary race — and who wants to slash military spending to pay for safety net programs she supports like Medicare for All. She has endorsed Smith’s challenger, a 30-year-old democratic socialist running as an anti-war candidate. Ocasio-Cortez made headlines by arguing erroneously that the military received a “$700 billion budget increase, which they didn’t even ask for.” In reality, the total national defense budget for 2018 increased to $700 billion, which uniformed and civilian military leaders did request. It also includes anti-war Rep. Barbara Lee, long on the political periphery and now a serious contender for Democratic Caucus chair. Lee, D-Calif., and famously the only member of Congress to vote against the 2001 war authorization against al-Qaida, last year managed to attract several rank-and-file Republican allies to repeal the authorization. Though House GOP leadership managed to derail the 2017 effort, Pelosi said earlier this year that Democrats discussed and agreed to repealing the authorizations — but not how. Drafting war authorization language that can navigate the House or the Senate, plus get the president’s signature, has eluded Congress for years. If a wave of insurgent progressives are coming to Congress within a Democratic “Blue Wave,” Khanna was arguably the vanguard. He prevailed in the second of two bitter, intraparty fights with eight-term Rep. Mike Honda, a win attributed to the district’s changing demographics and the growing political muscle of tech executives like Facebook’s Sheryl Sandberg and Google’s Sundar Pichai, who both supported Khanna. It’s unclear how Smith, who would become the Armed Services Committee chairman if Democrats won the House in midterm elections next week, would balance the expectations of the panel’s centrist Democrats with those of progressives like Khanna. The two advertised they are working together in a joint video last month, in which they expressed concern over U.S. entanglement in Yemen. They also highlighted their cooperation to win passage of stiffer oversight language of U.S. military action in Yemen. Meanwhile, Smith made clear not only that he opposes mammoth defense budgets, but that he wants to boost oversight of far-flung military operations in Yemen, Niger and elsewhere. For now, lawmakers inclined to reassert Congress’ war powers have been focused on U.S. military aid to Saudi Arabia. They cite the administration’s reluctance to hold Riyadh accountable for its role in the deaths of Yemeni civilians; and Khashoggi’s murder has added pressure on the administration. “I mean, the only people in the world who a ‘Blue Wave’ would be worse for than the Republicans is the Saudis,” Khanna said in a Sept. 26 interview. Broadly speaking, Khanna believes American military interventionism has made the U.S. less safe, and that it would be better served by diplomacy and alliance building. He does not doubt the U.S. is in competition with Russia and China — an idea at the core of the National Defense Strategy — but he was skeptical military investments, and not domestic investments, are the way to win. “The way we win the competition is by investing in broadband and fiber, by investing in the expansion of universities, by doubling funding for things like the National Science Foundation, National Institutes of Health, by putting more money in artificial intelligence and machine learning, by helping our workforce adapt to the digital age,” Khanna said. It’s the kind of answer you’d expect from Khanna, whose district is home to giants Apple, Intel and Yahoo; Facebook’s Mark Zuckerberg acknowledged to Congress earlier this year that Silicon Valley is “an extremely left-leaning place.” Wired magazine matched Khanna’s overlap with the region’s shift from libertarianism to deeper support for a robust social safety net. When the Pentagon wonders why its efforts to harness Silicon Valley’s innovative spark struggle to gain traction, Khanna says, it’s worth the effort to diversify the Defense Department’s pool of partners, but the problem isn’t just red tape — it’s the current occupant of the White House. Google has twice this year turned down opportunities to work with the Pentagon, citing potential conflicts with its corporate values regarding the use of artificial intelligence. After an internal revolt, Google first opted not to renew a contract to help the U.S. military analyze aerial drone imagery, and last month it declined to compete for a $10 billion opportunity to build the Defense Department’s cloud-computing infrastructure.